What are your thoughts on tight nosebands? Do you do one up loosely, or snugly, to prevent the horse from gaping its mouth open or trying to cross its jaw, or much tighter, as seen in the photo on the right? Veterinary studies have suggested that a tight noseband may make the mouth more sensitive, and the horse therefore more likely to be submissive. Of course if the molars are remotely sharp it will increase discomfort, making the horse far less likely to be submissive. Stewards are able to use a ‘taper gauge’ to measure how tight a (cavesson) noseband is, rather than leaving it to individual interpretation of ‘two finger widths’. There is a Facebook page for one type of measuring device. 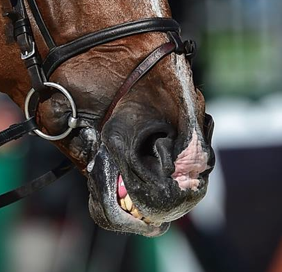 “Extreme tightening of the noseband may force the mucous membranes lining the cheek against the molar teeth and is thought to increase the bitted horse’s compliance and responsiveness to rein pressure, perhaps by sensitising its mouth (Randle & McGreevy, 2011). This may advantage the rider since the horse appears to achieve a lighter rein contact, colloquially referred to as becoming more ‘submissive’. However, tightening the noseband is likely to mask the horse’s natural comfort-seeking responses by restricting jaw and tongue movements that disclose resistance and behavioural conflict. Recent evidence suggests that horses wearing tight nosebands undergo a physiological stress response, are sensitised to bit pressure and may have reduced blood flow (McGreevy et al., 2012). Consequently, on welfare grounds, the use of nosebands that constrict with potential to cause injuries should not be permitted in training or competition. Personally, I want my horses to be really comfortable, and not to resist the aids at all, if possible… I want the horse to yield willingly at jaw and poll, however long that might take to establish, so I tend to have the nosebands loose or, at the most, slightly snug. But I realise that a lot of riders, some of them at top level, favour tight nosebands, and they must have their own good reasons. I trained for a while with a BHSI who told me that she could not get her top horse ‘on the bit’ unless his noseband was tightened as much as possible. I’m not sure I believe that it is necessary (or fair) to have a noseband that tight to get the horse to give at the jaw and poll, however! The above photo to the right shows a very tight flash strap – the horse’s jaw is closed (incisors touching) and yet the strap is still tightened deep into the flesh. Surely this tight it must be bruising the tissues? Both of these illustrative pictures were taken in the Dressage phase of the Eventing at WEG. Please don’t play ‘guess the horse and rider’ – that isn’t the point of the photos. It’s just to show that top riders (or their grooms) fit the same bit of tack very very differently. Although, one of these horses was near the top after their test, and the other was near the bottom. It probably doesn’t take a rocket scientist to work out which was which… although the noseband is of course far from being the only variable! I’d be interested to hear everyone’s thoughts on how and why they fit their nosebands, particularly for flatwork. 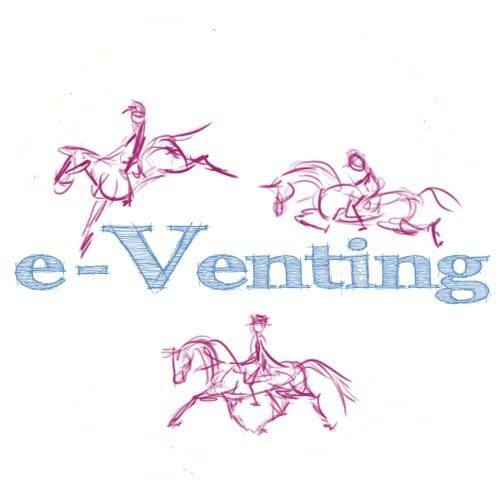 First Season Eventer – Making it Happen! flatwork/hacking I like to feel the bit being chewed so very loose drop noseband or a micklem for me. If the horse can accept and chew a treat happily from my hand then that’s my measure of a nice fit. For jumping/XC I get 2 fingers in snugly inside a grackle for the same reasons that i put a martingale on – it’s a seatbelt. I rarely need to take a strong pull but when i do i really do. But realistically he can still accept and chew a mint, he just might end up holding onto it and sucking on it for the whole course. lol. I had a horse a few years ago that I experienced all kinds of difficulties with. My trainer at the time tightened the mare’s flash very tight and said that is how I could get the horse to behave. Over the following weeks I followed the advice and the horse got more and more distressed every time i rode her. I then changed trainer who stripped my tack down to the bare minimum including removing the flash all together. 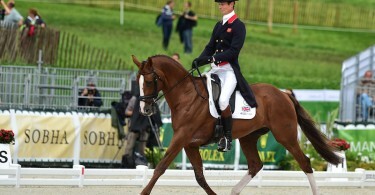 Following this the horse then went on to improve in dressage dramatically. I have just bought a micklem for the horse I now ride and only tighten it so the horse still has open movement. My trainer actually said this morning that I have a happy horse when riding her. I hate the flash nose band. I think if the horse opens the mouth to get away from the bit there’s something wrong in training. In the tack catalogue they only sold bridles with the flash… unnecessary. The drop nose band is the same. A horse need to be able to chew the bit. Just snug is too much as well. In order to do so he needs to be able to open his mouth a certain amount. I don’t know why people think that all tack has to be as tight as possible. Its the same as the bit why do people have the bit pulling up the sides of the mouth…? Not especially comfortable for the horse. should not be more than snug- ie with room for at least 2 fingers, so the horse can chew and swallow without restriction. I fit on the loose side of snug…….I have had instructors tighten it. I agree I get better work but a p**sed off horse. Perhaps some pros take a more clinical approach to getting the best performance possible? If our true goal is to have a soft, submissive horse, relaxed in the jaw and poll, the noseband MUST be fitted just snugly, that is allowing two fingers at the front of the nose. Consider this, when you are relaxed your bottom jaw drops a little, leaving a gap between your top and bottom teeth – when you are tense you will often have your teeth closed against each other. Now try running around for an hour or so with your teeth clenched – uncomfortable? Of course, it makes your teeth hurt and gives you a headache. Imagine what it must be like for the horse when the noseband is done up as tight as shown in the photo! His teeth are jammed together, tight, they are heavily ridged so won’t sit neatly into each other, his jaw will ache and after a while the pounding of feet on the ground will jar him to a headache! While in pain he will resist. Find the reason for the desire to tighten the noseband, what did the horse do that made you tighten his noseband in the first place? Now get that sorted first, and if it means basic schooling for a couple of years then so be it! Give your horse time, if he develops a resistance, find out why, go back a few stages and school. Improve your own riding! At present both my horses only wear loose cavessons. I can easily fit two fingers, probably a bit more. The older one does chomp, but is far happier chomping than having his mouth tied shut, which only distracts him, and makes him stroppy. The younger one has never worn anything else, and whilst it ain’t broke I’m not going to try and fix it! I would use something else if it came down to it, but it would still be fitted loosely. I don’t actually like the feel a horse with a restrictive noseband gives. So I tend to take them off anyway. I don,t use a strap to close the mouth my cavasons are loose I would rather take the time for my horses to be working happily then mask problems after all it,s supposed to be a partnership not a dictatorship. At the higher levels of eventing when you use double bridles you cannot use a drop to shut the mouth. suggesting this statement is the science behind it is a fallacy “perhaps by sensitising its mouth (Randle & McGreevy, 2011). This may advantage” the words “perhaps” and “may” sound subjective rather than objective and hardly present anything but a flawed scientific thesis. the single most common factor to tight nosebands appears to be ignorance – what people believe as true versus what is actual continues to amaze me. Why do judges allow riders to clamp shut mouths (riders wishing to stop horses opening the mouth instead of correctly using negative reinforcement) when a loose noseband would help them judge the horses training? I think that people have lost sight of what some equipment is used for. For example: the flash strap is there to help stabilize the bit in the horse’s mouth, especially young horses, that are learning to carry the bit properly. It is NOT there to tie a horse’s mouth shut, and should NEVER be used in this fashion. If a horse needs to have it’s mouth tied shut… than more training is definitely needed! Nosebands for dressage are quite different than ones for jumping, especially XC. 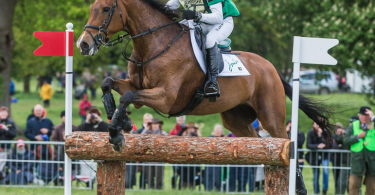 A high level rider once told me that when jumping XC at speed, the last thing you want is for the horse to open its mouth (thus losing a split second of contact) when you try to use the reins…. thus a noseband, though it should never be TIGHT. That to me makes sense, especially in light of modern XC courses with lots of turns and skinnies. But to clamp the mouth shut in dressage? I have a harder time finding a justifiable reason for that. I dont usually use a flash at all, and generally go with a looser noseband. Unfortunately we bought a draft type horse that would grab on and run like a freight train. He didnt bolt, but it was almost impossible to stop him. This guy would never quit, and within 10 minutes you would feel like your arms were 10 feet long. I refuse to use harsh bits, and given a choice I would rather use a flash or figure 8. We used a figure 8 to close his jaw. We didnt squish his face or anything, but it prevented him from grabbing the bit. We used this with a soft 3-piece bit until he started to relax, accept the bit and respond to half-halts. He no longer uses a flash and his nose band is nice a loose. He can still get very heavy, and requires an experienced rider who knows to play with his mouth to keep him soft. I think its important to remember these things are training tools, but can obviously be abused. Sorry but I’m going to throw a spanner in the works. I have an upper level event horse who is beautifully trained and ridden in a mild bit + loose noseband. However, during the dressage phase of a competition he is knows this is the warm up for the fun parts and ‘gurns’ for England. He doesn’t resist the bit, rein or leg one iota and the rider doesn’t feel him pulling faces but by golly the judges can see it and mark him as resisting accordingly. So, against our better judgment we strap his chops shut for the circles and bingo, he gets an amazing score. I do not use a bit. In my opinion (and from scientific research I have followed) bits are painful, torturous things as are tight nosebands. Horses only chew at the bit and salivate as the bit and tight flash cause pain and breathing difficulty. As far as I am concerned it is abuse. If I can’t control my horse without causing it pain and discomfort then I would rather not ride it at all. Extreme tightening of the noseband may force the mucous membranes lining the cheek against the molar teeth and is thought to increase the bitted horse’s compliance and responsiveness to rein pressure, perhaps by sensitising its mouth (Randle & McGreevy, 2011). This may advantage the rider since the horse appears to achieve a lighter rein contact, colloquially referred to as becoming more ‘submissive’. However, tightening the noseband is likely to mask the horse’s natural comfort-seeking responses by restricting jaw and tongue movements that disclose resistance and behavioural conflict. Tight nosebands can mask unwanted behaviour in horses, which might be indicative of either pain or deficiencies in training, or, indeed, both. Consequently, the loosening of nosebands might reveal undesirable responses that could be dangerous to riders and other horse-rider combinations. Riders should therefore rule out any pain-related issues in their horses and ensure that their horses are trained according to principles of learning theory to meet the demands of competition. In most equestrian disciplines, gear stewards check that all equipment used on horses competing complies with the specified regulations. By implementing a process that can be used to remove or loosen tight nosebands, stewards could ensure that the detrimental effects of these devices could be eliminated or at least lessened. This may be erroneous, but I read somewhere that flash nosebands were developped to prevent the horse going across rough terrain from breaking its jaw in the event of a fall. Taking this into consideration, I certainly would use a flash if I were riding cross country. To be useful, it would have to be tightened just snugly enough to avoid the horse opening its mouth, but not so much that blood circulation or the horse’s breathing might be adversely effected. I longe my horses in a western headstall that goes around one ear and has no noseband. I use it with a thick, eggbutt snaffle. The horses go so well in it, moving freely with their backs raised, that I have started riding some of them in it and they go better than they do in their regular bridles. I have never been one to use a tight noseband, but after seeing the results of riding in a western bridle, I don’t think I will use a noseband again. Since my horses are jumpers, I am fortunate enough to be able to ride and show them in any tack I choose. I only ever use a plain cavesson done up on the loosest hole possible. I only have it on for looks (showing, pony club etc.). I figure if I’m aiming to have my horse relaxed and submissive then I shouldn’t have to strap his mouth shut because then he can’t tell me if I’m hurting him and if I’m hurting him then we aren’t working as a team. I also do a lot of bitless riding, however I don’t feel like I have enough connection in a bitless to accomplish really good flat work/dressage so I use bitless for hacking out and jumping. I have trained myself by having soft, feeling hands and I have trained my horse so it doesn’t need one. I never used to tie my flash up tight. It was there as a ‘just in case’ but I never had to tighten it. Then I asked myself why I have a flash strap if I clearly don’t need it so my horse no longer has the flash element of her noseband. I took the decision that I want my horse to respond because she understands and is comfortable doing what I ask her to do. Opening her mouth is one of the few ways she can tell me she is uncomfortable or something I am doing is uncomfortable for her AND allows her to get some instant relief. None of us are perfect riders and there are always instances where we may catch the horse or be too heavy handed albeit unintentionally, therefore the least we can do is give the horse the chance to ease any such discomfort by having no drop element or at least room for them to open their mouth somewhat. Admittedly I have a very genuine mare who tries hard for me. But so many people have these nose bands for fashion or because they think their horse looks prettier/ more advanced in them. My mare also looked prettier in a flash but looks more comfortable without one and I prefer the latter. I accept some people may need some sort of drop but suspect the vast majority don’t. For those that genuinely need a flash on their horse I mean no offence whatsoever. Interesting that you mention bitless, Jan Barratt. My biggest concern with the Dr. Cook’s version of a bitless bridle is that per the maker’s instructions it is adjusted lower on the nose than a normal cavesson and is meant to be much tighter, to prevent it from slipping around the nose, than I would ever use a cavesson. To me that means unless a rider has very quiet, educated hands, bitless has the potential to be quite uncomfortable for the horse. With a bit, I ride with a loose cavesson because I want my horses to chew and move their mouths as needed both to process tension and so that they have full use of the head/neck for balance. I also find that when I get a horse relaxed in the jaw, I have more access to the loin; therefore more push and throughness. I see too many people, especially those jumping (both h/j and eventers) with nosebands cranked tight and horses with tight jaws and locked-down backs, especially in the loin area where they really need to be able to coil and release to gallop and jump. I don’t agree with tight nose bands at all!! I believe they make a horse tense and sometimes spooky so I have a canvesson fitted loosely on my horse although I prefer to go without a noseband. All the above responses clamor “these folks know very little of proper training ” period !!! !